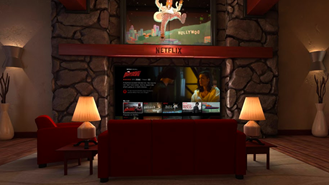 The app is simply titled "Netflix VR," and at the moment it's more or less the same thing as Netflix on Android TV, just with a gigantic virtual screen and a swanky digital environment to watch your shows in. 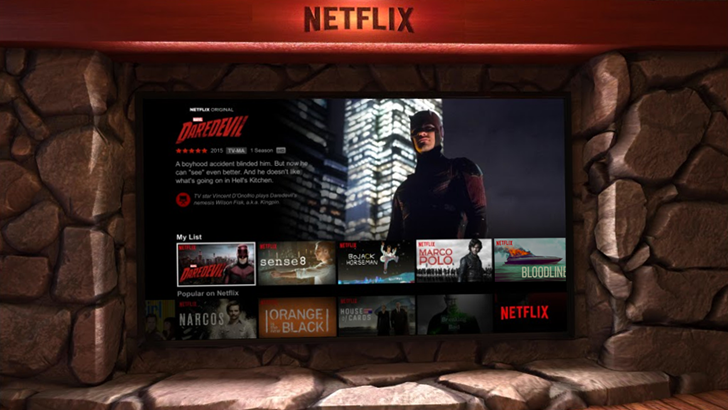 All of the content currently up on Netflix is accessible in the virtual interface via the Daydream controller. If you've used the Android TV client with its remote and/or a game controller, you should know what to expect. Unlike Hulu, Netflix VR is a stand-alone application, which means it's a bit redundant if you also want to watch Netflix shows or movies on your phone in a more conventional fullscreen interface. 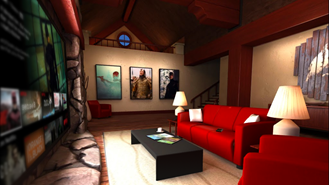 Naturally, you need a subscription (or a free trial) to use the app at all.